Marya Hornbacher is an award-winning essayist, journalist, and the New York Times best-selling author of five books. Hornbacher’s work has been published in eighteen languages, and her writing across genres appears regularly in literary and journalistic publications around the world, most recently in AGNI, Gulf Coast, The Normal School, Fourth Genre, DIAGRAM, Broad Street, and The Bellingham Review. Her sixth book, a work of long-form journalism, will be published in 2018, and her seventh, a collection of essays, is underway. She was recently honored with the Annie Dillard Award in Creative Nonfiction. Find out more about her work at www.maryahornbacher.com. Caroline Casey is the managing director at Coffee House Press. She has a background in marketing, publicity, and acquisitions, including stints at Sarabande Books and Stanford University Press, and holds an MFA from the Nonfiction Writing Program at the University of Iowa. 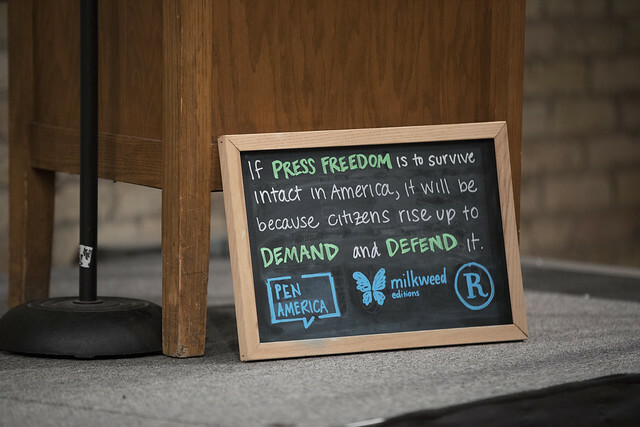 Joanna R. Demkiewicz is a cofounder and the editorial director of The Riveter, a women’s long-form lifestyle magazine both online and in print, as well as the publicist at Milkweed Editions, an independent nonprofit publisher. She received her Bachelors in Journalism from the University of Missouri Journalism School in 2013, where she studied Magazine Writing and Gender Studies. She lives in Minneapolis.